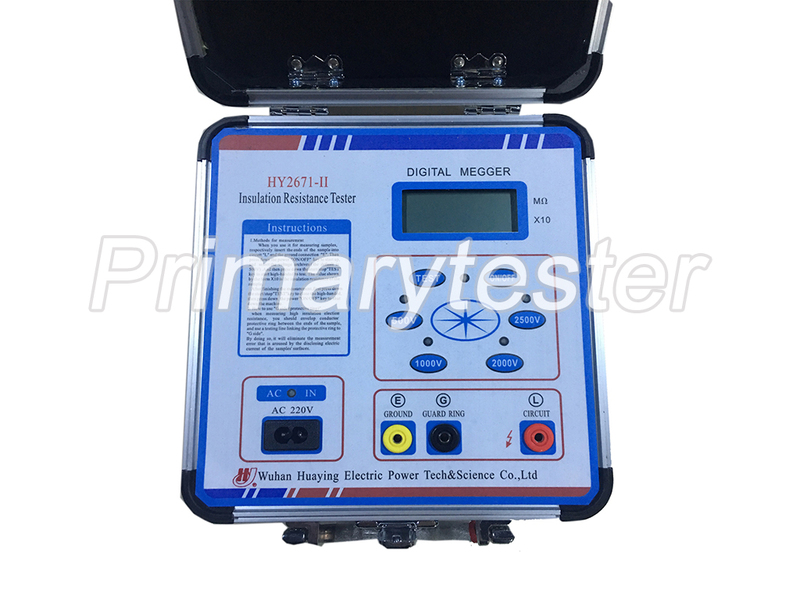 Our Insulation Resistance Tester HY25 series uses super-thin tensile meter and multi test voltage. 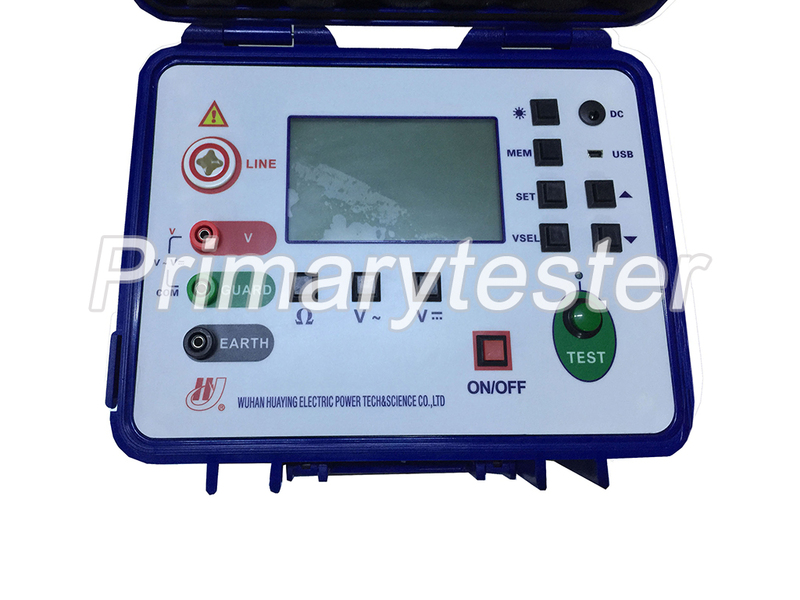 It features high capacity, strong anti-interference, applicable both AC and DC (C type), simple and fast test, and easy to carry. 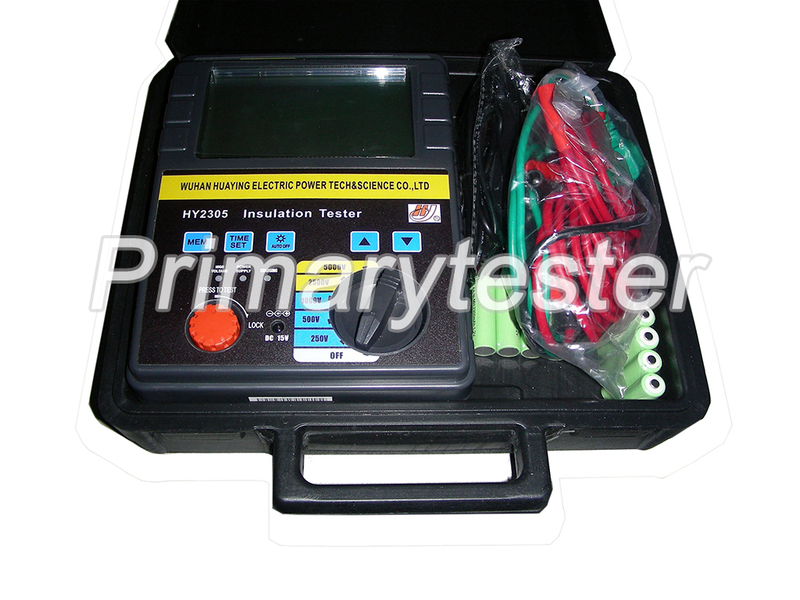 It is the ideal tester for insulation resistance like transformer, mutual inductor, electric generator, high voltage motor, power capacitor, power cable, and arrester. 1. 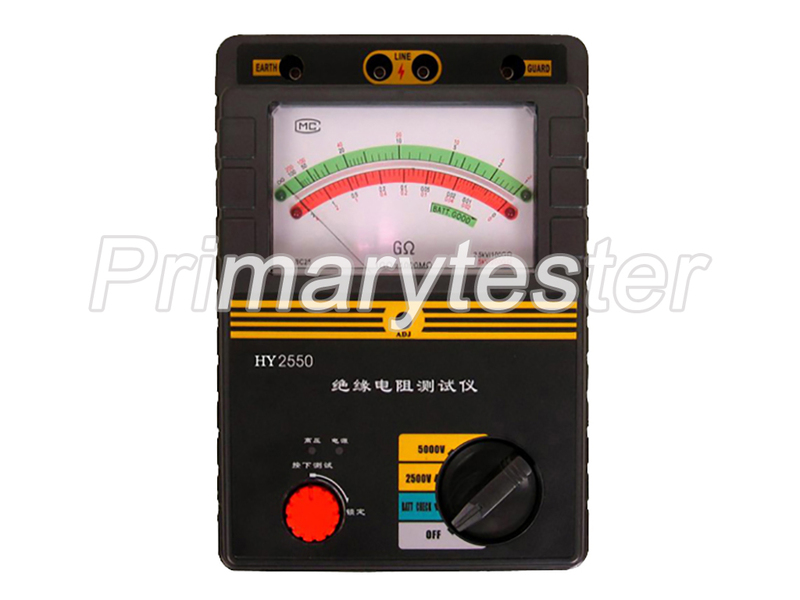 HY2550 can make insulation test highest 100GΩ at 2500V, and 200GΩ at 5000V. 2. 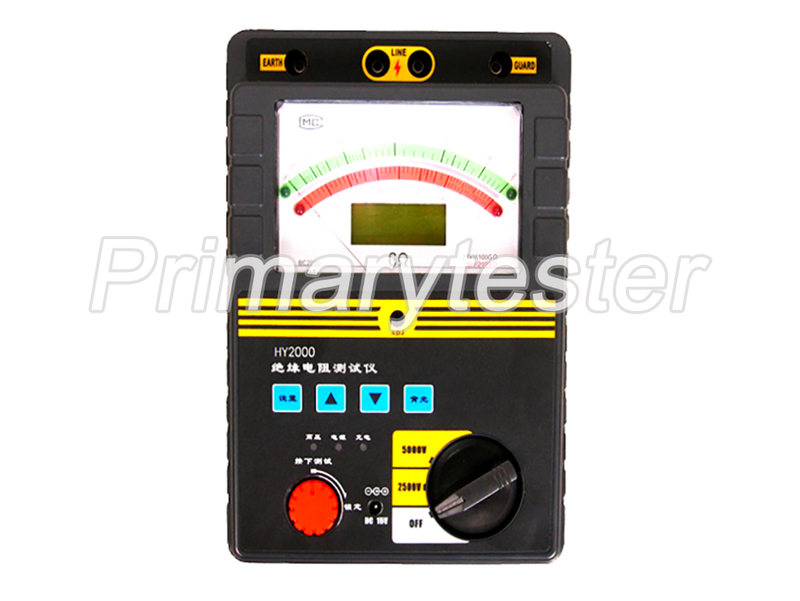 Automatic exchange of high and low range has two scale indicators. 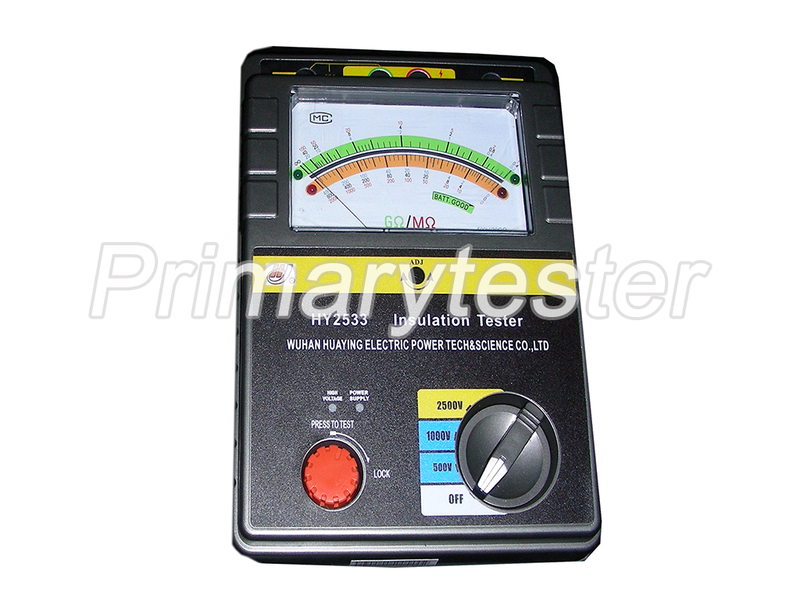 Color indicator is easy to read and with LED display for corresponding color. 3. 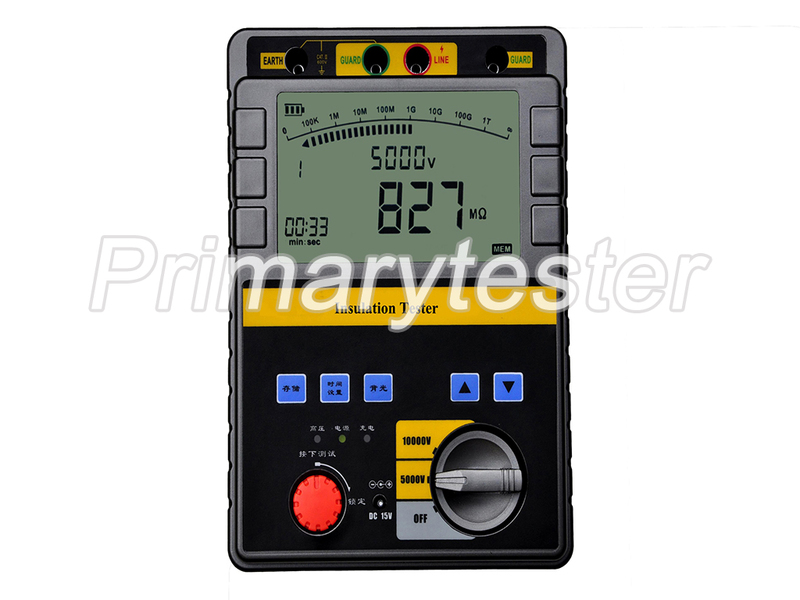 Complete tester uses ABS plastic housing for easy carry and has strong anti-interference. 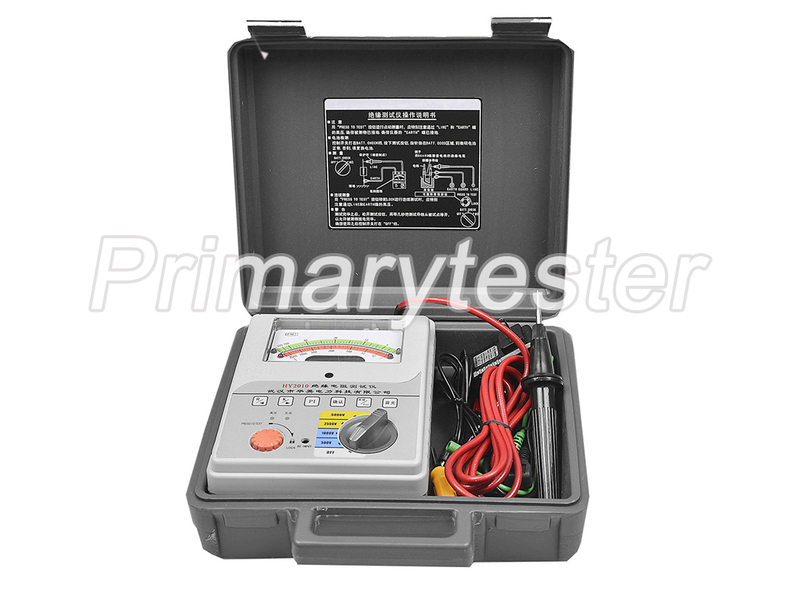 It features compact structure and exquisite appearance. 4. 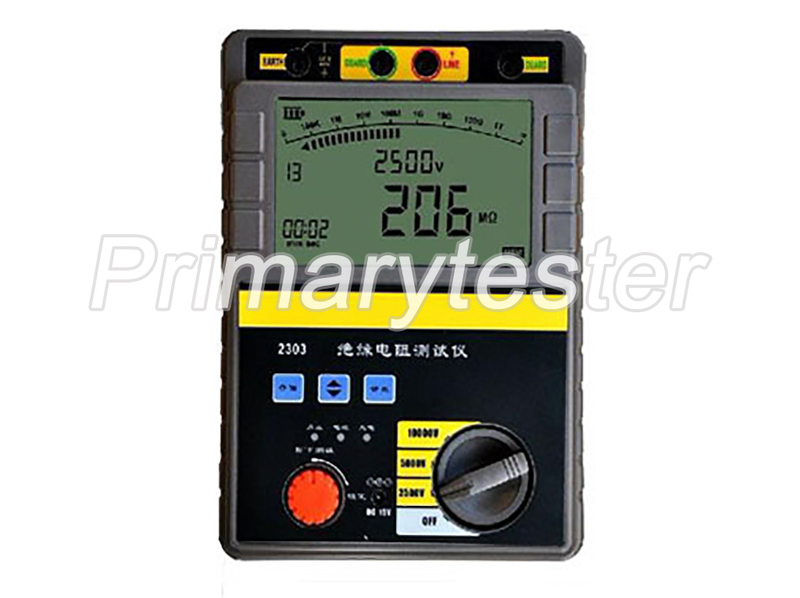 Tester adopts tensile meter and has strong shock resistance.